Are you searching for a place to stay? Do you want to spend some days in Apulia but can’t find accommodation? 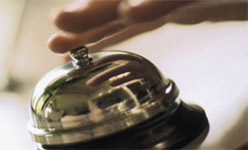 Our website infopointbari.com helps you choose the best Hotels, Bed and Breakfast, Farmhouses, Campsites and Apartments! Enjoy your search and..have a good holiday! When Category field is not selected, all structures available according to typology will be visualized.